Virginia opossums are one of the animals you can hunt in Red Dead Redemption 2. They’re relatively small rodents that feed on various things, and you can find them at a bunch of places around the map. There are a handful of focal points, though, where you’re guaranteed to run into at least one each time you go. If you’re hunting opossums and don’t know where to look for them, our Red Dead Redemption 2 opossum locations guide will help you. 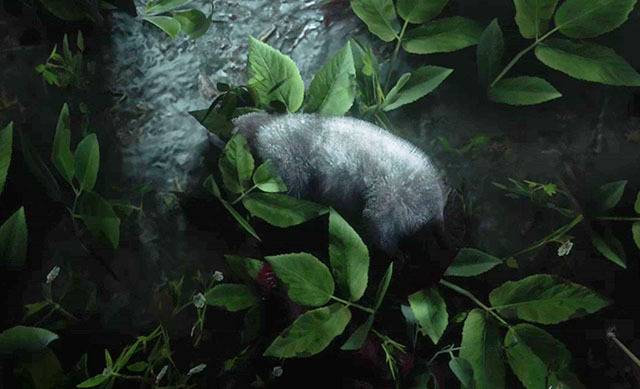 Where to find opossums in RDR2? The Virginia opossums are not the rarest beasts you’ll hunt – they can be found in quite a lot of places, but they’re quite small. That’s why we’ve decided to focus only on the most densely populated areas, which should increase your chances of running into one. You should also keep in mind they’re nocturnal, which means you’ll only be able to spot them during the night. The first one is all the way to the west, directly north of lake Owanjila, west of Mount Shann. Then there’s one between the estuaries of the Dakota River and the Upper Monatana River, southeast of Riggs Station. The third one’s along Ringneck Creek, north of Rhodes in Lemoyne. 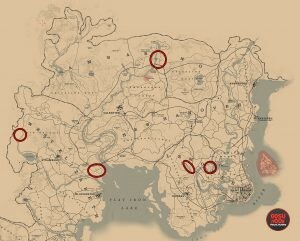 The fourth location is in the swamps north of Saint Denis, east of Lagras. Like we said, make sure it’s night before you go looking for the opossums. There will be a bunch of animal activity, so you’ll probably have to spend some time looking for your prey amid all the snakes, birds, and even large predators. Once you’ve found it, use a bow with small arrows to minimize the damage you’ll do to the body and skin, which will increase your chances of getting a perfect pelt and a perfect carcass. Yeah, deff at that spot south of Riggs Station. I crossed the river went up the bank, Opossum right there waiting for me. TY.